In previous SAP Netweaver Gateway tutorials part1, part2, part3 and part4 we retrieved the list of Sales Orders. In this tutorial we are going to retrieve a particular Sales Order. 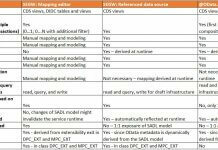 We need to implement the method Get Entity (Read) of an OData service. 1. 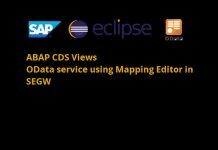 Go back to SEGW and choose the service name ZSL_EPM_DEMO. 2. Expand the service. 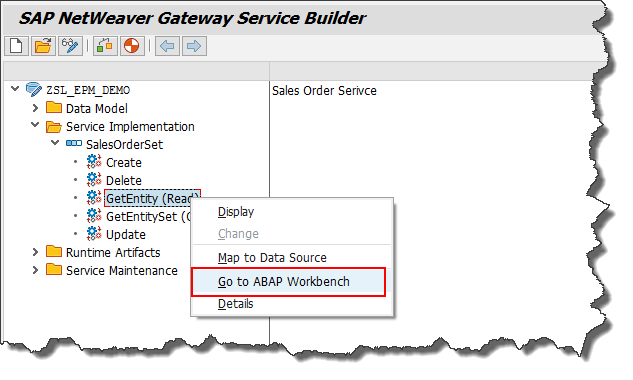 Service Implementation → GetEntity(Read) → Right Click → Go to ABAP Workbench. 3. Find the method SALESORDERSET_GET_ENTITY in DPC (Data Provider Class) ZCL_ZSL_EPM_DEMO_EXT and click on Redefine to redefine the method. 4. Let’s have a look at the signature of the method. IT_KEY_TAB – stores the all key values and its value of the request. In our entity type the key is “SoId” . ER_ENTITY – this is the exporting structure in which we need to pass the sales order details. READ TABLE it_key_tab INTO lwa_key_tab WITH KEY name = 'SoId'. SELECT SINGLE * FROM snwd_so INTO CORRESPONDING FIELDS OF er_entity WHERE so_id = lv_so_id. 6. Save and activate the method and then DPC extension class. 7. Go to SAP Netweaver Gateway Client /IWFND/GW_CLIENT to test the service. Enter the service name with sales order number like below and the Execute. 8. The result will look like below. 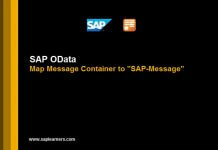 You have successfully implemented a Single Read in SAP Netweaver Gateway OData service.